Beating Seaham Park and Hylton last weekend saw Easington climb back into the top four in the table. The two winning results has lifted team spirit, morale and brought some life into the Easington dressing room with the second half of the season now underway. Tomorrow, Easington play host to Crook Town and they will be seeking to avenge their defeat at Crook earlier in the season. And the mood the squad is in then that feat can be achieved. Spokesman Arthur Broxson said: “It was a great weekend for us, especially now when we are sitting pretty in the top four and that is where I would love to see us finish at the end of the season. “There is a long way to go to achieve that, however, whilst I have said that we are an inconsistent side to watch, we seem to come good at the right time. “Sujit Nayak batted superbly last Sunday against Crook to reach his maiden century for us and he also passed 400 league runs for the season. 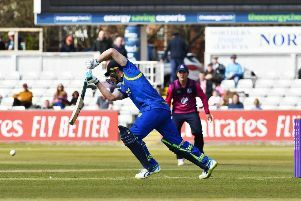 “On his day, he is great to watch and, whilst he is also doing well with the ball, he is on course to score at least 800 runs and take 50 wickets, his performances alone will see us finish high. Dave Tarn is missing tomorrowe due to the birth of his first child so junior player Michael Cockburn replaces him. Team: D Wilson, G Ward, J Wilson, R Higgins, J Moses, J Ward, L Ramshaw, M Cockburn, T Aziz, R Atherton, S Nayak.